Welcome to a new series on looking up/looking down. While 3, 3 and 3 features creative people, 2, 2 and 2 narrows the focus to writers—and, specifically, writers with new books. It’s exciting to see so many excellent titles recently published and scheduled for the rest of 2014, and I unashamedly hope this series will give you a few to add to your ever-growing ‘to be read’ pile! 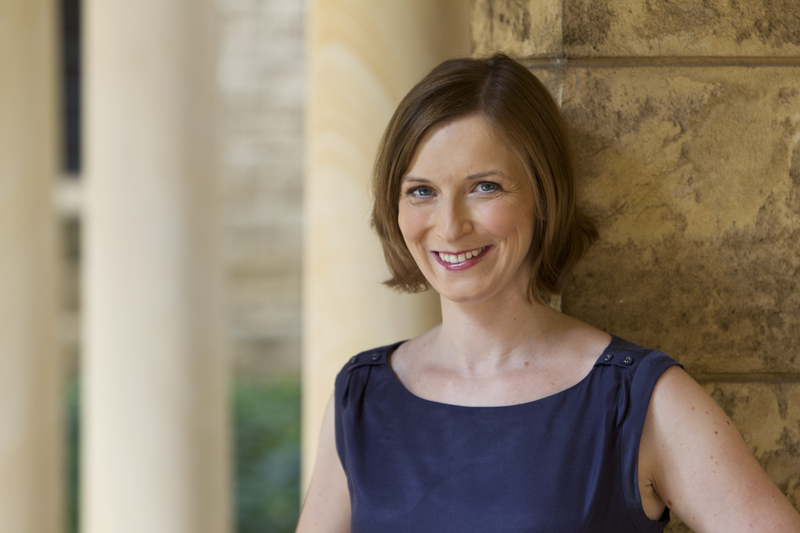 Kicking off the series is writer friend Dawn Barker, whose first novel, Fractured, was one of Australia’s top-selling debut fiction titles in 2013. Dawn is a psychiatrist, as well as an author. Her non-fiction has been published in various magazines and websites, such as Essential Baby, Mamamia, Quartz and the Medical Journal of Australia. She is originally from Scotland but now lives in Perth, Western Australia, with her husband and three young children. How far would you go to have a family? What would you hide for someone you love? Confused and desperate, Zoe McAllister boards a ferry to Rottnest Island in the middle of winter, holding a tiny baby close to her chest, terrified that her husband will find her or that her sister will call the police. Years later, a teenage girl, Louise, is found on the island, unconscious and alone. Flown out for urgent medical treatment, when she recovers she returns home and overhears her parents discussing her past and the choices they’ve made. Their secrets, slowly revealed, will shatter more than one family and, for Louise, nothing will ever be the same again. 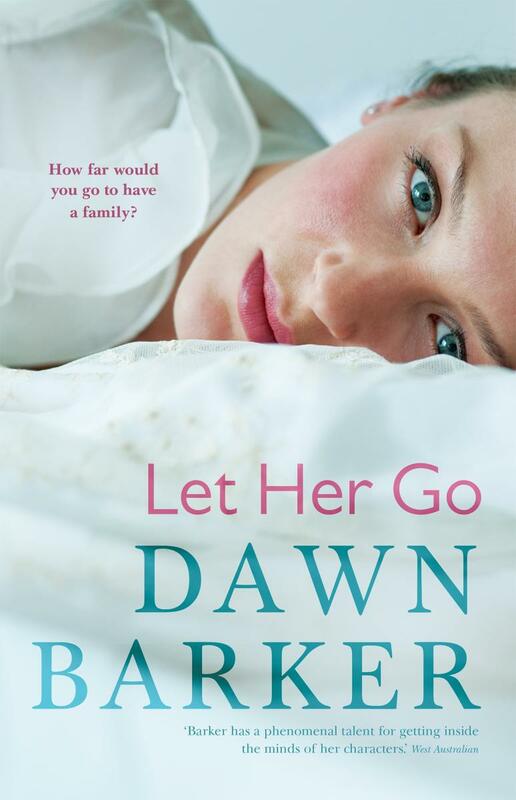 I read two books that were big inspirations for Let Her Go. Margaret Atwood’s The Handmaid’s Tale, while a completely different genre, was the first. I’d just watched a documentary about surrogacy where the body language of both the intended mother and the surrogate made me feel uncomfortable and I wondered what was going on behind their smiles. I then re-read The Handmaid’s Tale and saw that the world Atwood imagined in a speculative fiction novel—where an underclass of women are used for reproductive purposes—is not that far removed from the one we live in now. I felt conflicted: being a mother myself, I would never deny anyone the right to experience the joy of being a parent, but there are ethical issues to consider. I wanted to write Let Her Go to explore my own feelings about this complex issue. The other book that was an inspiration is David Vann’s brilliant Caribou Island. While this is set in Alaska, a long way from Western Australia, Vann is an expert at using landscape—in this case, an island—to increase the intensity between characters. I loved the idea of an island being both an escape and a prison. 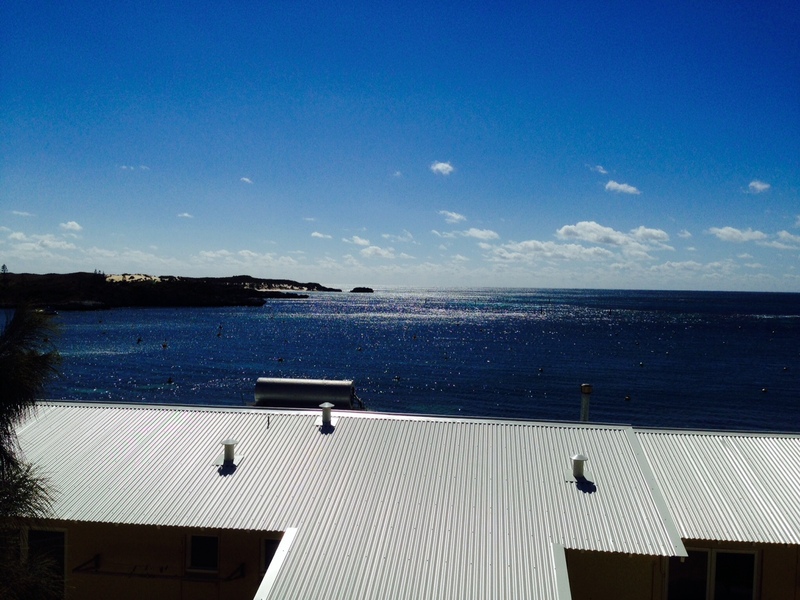 This gave me the idea to set my book partly on Rottnest Island. As mentioned, there are many sections of Let Her Go set on Rottnest Island, an island 20 kilometres offshore from Perth. Those of us who live in Perth see it shimmering on the horizon every time we drive past the beach, and as well as being a beautiful place, it’s an island steeped in history and myth. I first heard about C.Y. O’Connor beach when I was on a friend’s boat at Rottnest Island, and so the links between the settings were in my mind from the very beginning. As we sat in a beautiful bay, eating lunch, my friend told me about a quiet beach in South Fremantle where just offshore there was a bronze statue of a man called C.Y. O’Connor on his horse, and that as the tide came in, the statue was gradually submerged. I learned that this was the beach where the real C.Y. O’Connor, a brilliant engineer who designed ‘the golden pipeline’ (which carries water from Perth to the goldfields of Kalgoorlie), rode out in to the water and shot himself. I visited the eerie beach, and then read more about the myths surrounding his death and followed his story to various places in Western Australia which made it into Let Her Go: Mundaring Weir, Fremantle Harbour and Rottnest. There are two scenes in Let Her Go that are my favourites, because they seemed to write themselves. It’s a great feeling as a writer when you can almost visualise a scene in your mind and all you have to do is transcribe it. These two sections ended up virtually unchanged from the first draft. The first is the scene that is now the prologue. In it, we see a woman on the ferry to Rottnest Island, crying, fearful and clutching a baby to her chest. While writing it, I could taste the salt in the air, smell the fumes and feel the rolling nausea from the motion sickness of the ferry. I could sense the desperation in this character, Zoe, to hold on to the child and the fear that someone would come after her and the baby. 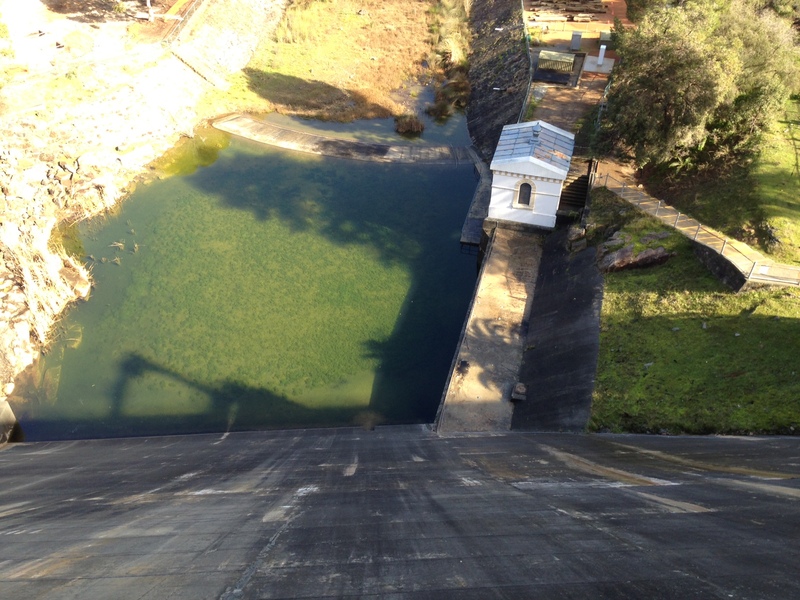 The other scene is one set at Mundaring Weir, a dam in the hills of Perth. The lake below the dam wall is still, milky, and voices and the calls of birds echo through the valley. While I have set two scenes here, my favourite involves one of the main characters, Nadia, making a huge decision about her family—a decision, and a place, that will follow all the characters forever. I have this book ready to review and think I’m going to have to bump it up! 🙂 It’s ‘next to read’ in my teetering pile! I look forward to reading your review, Monique. Great piece Amanda! I love the way you’ve talked about place in this interview because one of the things that really struck me about Dawn’s book was how well the places in it i.e. Rottnest, became characters in the story. Thanks, Natasha 🙂 I love what Dawn has said about how these places came to be important to the story. Inspiration and the layering of meaning can come from the most unexpected sources. Thanks for having me on your blog, Amanda! I love the sneaky book launch picture, complete with champagne! Great initiative Amanda. I was particularly interested to read that Dawn finds some scenes seem to write themselves. I know what she means and I have a number of writer friends who have spoken of the same thing. It is a fine feeling when everything aligns and I think Dawn’s readers will probably nominate the same scenes as their favourites as the “ease” the writer feels is usually detected by the reader. Nice idea, Amanda, and a great interview to kick off your 2, 2 and 2 series. I’ve just finished reading Let Her Go. The topic of surrogacy is close to my heart as the subject for my PhD in Creative Writing. Though I’m approaching the subject very differently from Dawn, I was intrigued to read her take and found the novel a real page-turner. Thanks, Angela 🙂 I’m intrigued to hear about your PhD project. The only problem is: I know I’m in for a wait before I can read it!